It’s hard to believe that a 6-year-old could take care of herself, let alone her severely disabled father, but this little girl is living proof that it’s possible. 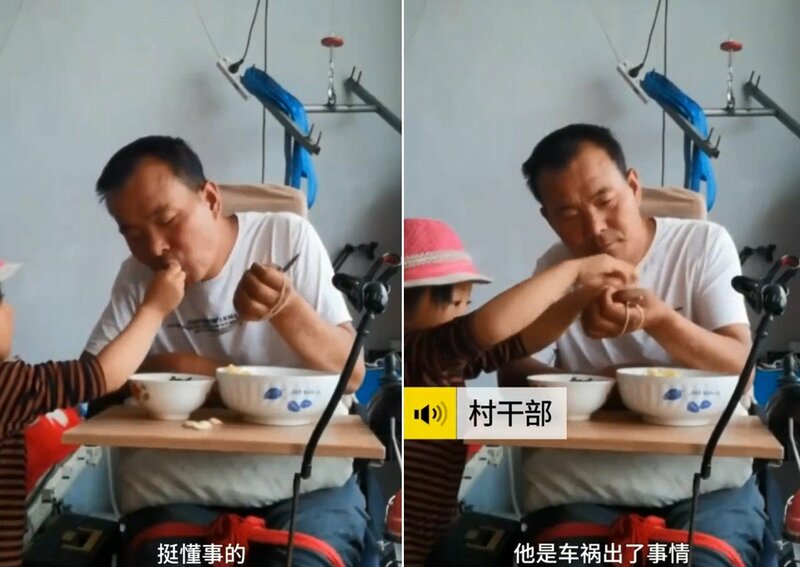 In a video that has been doing the rounds on Chinese social media, she can be seen tending to her father’s wounds, helping him get into his wheelchair, helping him eat, reading to him and even tucking him in at bedtime. It should be the other way around, but life isn’t always fair. With his daughter’s help, Tian was able to overcome his depression and is now looking into the future as a hopeful man. 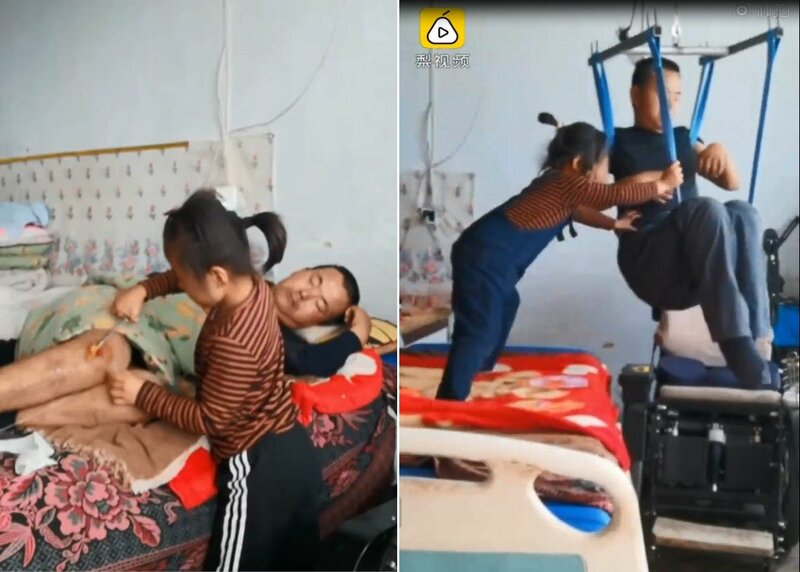 Even though the car crash left him a cripple, the 38-year-old hopes that he can recover enough to relieve some of the burden currently on his daughter’s shoulders. 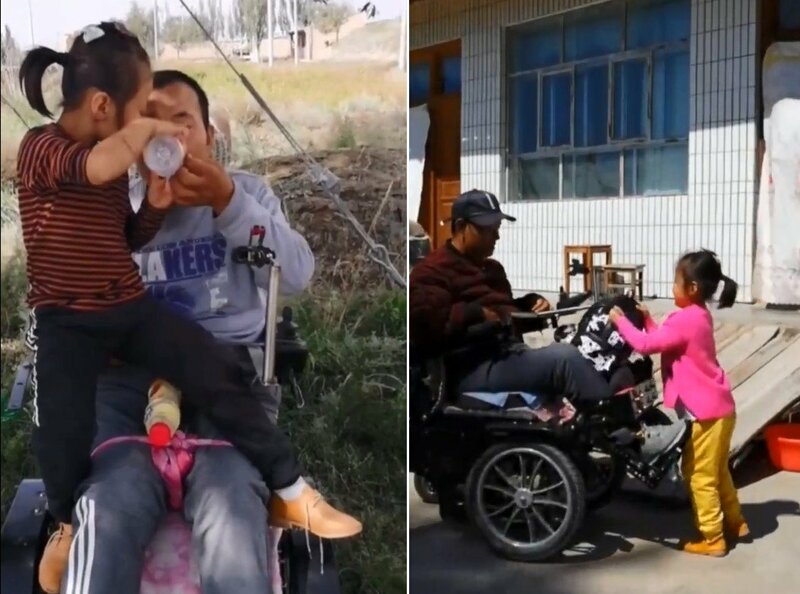 The proud father started sharing photos and videos of himself and his young caretaker on social media, and it didn’t take long for people to take notice of their situation. They were recently featured in a Pear Video, which has been shared thousands of times on WeChat.